Catholic College Wodonga continually strives to build a sense of belonging, involvement and initiative within its students. And while they believe technology is an integral part to accomplishing this work, rapid growth in their student population presented a roadblock that halted their progression toward becoming a more technologically focused campus. 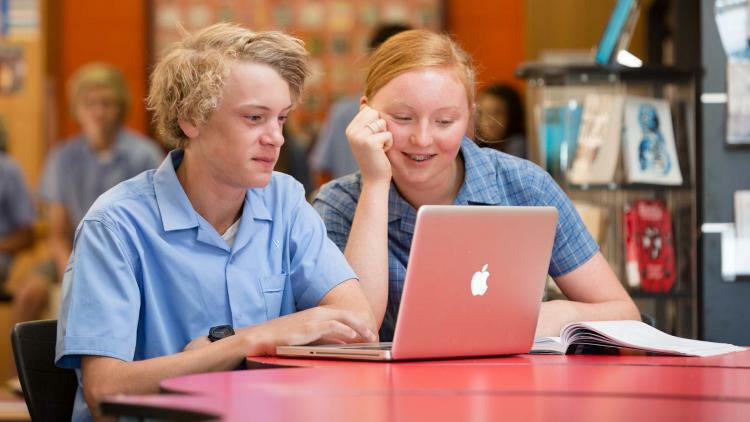 “We have more than 1,800 devices across our school, so their management is quite a task,” said Hayden Middlin, ICT manager, Catholic College Wodonga. This was especially problematic when the school rolled out new devices at the beginning of the year. But a longtime customer of Jamf, Catholic College Wodonga understood the capabilities of Jamf Pro and how students could help. During the rollout, each student received a MacBook Air in a new, shrink-wrapped box. They opened their own device, and with guidance, created an admin account based on their school Microsoft Active Directory credentials. Having the students help with the rollout not only gave them an opportunity to enhance their IT skills, but also saved the school’s ICT team valuable time. To learn more about Catholic College Wodonga and how they’re using Jamf differently to manage their school’s student devices, read the full case study.